We are currently in the midst of a short session of the Oregon Legislature. This year there are over 600 bills to get through, and only 35 days to do it. Which means that many of us farmers are walking the halls of the capital more frequently than the rows of our fields. Yesterday I headed down to Salem to testify on a bill that would remove important aspects from the Seed Pre-emption law. A law that we got passed back in 2013, after a long hard battle. The basic run down of this law is that it prohibits counties and cities from regulating seed production in Oregon. This is important because as farmers we don’t want to have 36 different laws regulating how we can grow our seed, or 36 different policies on the growing of GMO’s. It’s a common sense law, that protects farmers. Here’s a good article that sums up nicely what is going on with this issue as of right now. Oregon Seed Pre-emption Law Challenged in Legislature. 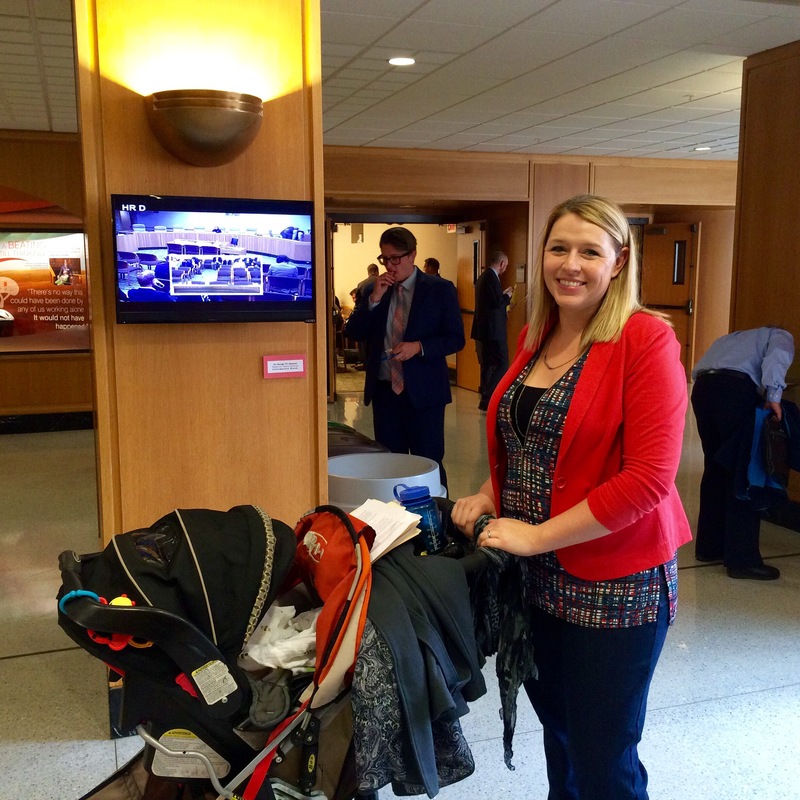 And here is what I looked like at the Capital yesterday…yes, baby in tow. He was a trooper and didn’t complain too much about his early start to agvocacy. Like I told many people yesterday, I’m here because I want to continue my legacy of farming here in Oregon. I want my sons to have the opportunity to put their hands in the same soil that their great grandfather did. And to do that, here in Oregon, we have to continually show up in Salem to let our voices be heard. To hear testimony from many farmers you can click the link below. The public hearing portion starts at about 1:09 into the meeting. As the article states it was mostly farmers who testified yesterday and they all did a great job. Now if only the battle was even close to over. Tuesday presents another opportunity for this law to be called into question.